I have some pieces that I want to buy bulk and if is possible I want to get also your opinion about any of them you might recognise (if looks fake,etc) . Thank you so much ! P.s I don't have any other photos, nor I can ask for more, I'm just asking about a general opinion. Thanks. Looks like Vienna enamel gilt bronze or silver. If silver, it should be fully marked with Austria - Hungary Empire marks, more likely with marks for small items (dog`s head) and maker`s mark. Without marks, no positive identification but really looks like Vienna enamel. About this piece, what can you sau? Enamel looks china or russia? Thanks. 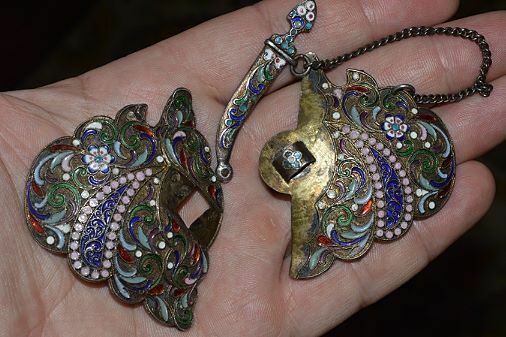 That was common Caucasus souvenir, either niello or cloisonne. Are there any marks ? The perfume bottle is porcelain. Any marks ? It has 84 markings and another hallmark not visible. the enamel belt buckel is a contemporary fake: size, style, colours and details are not as they should be or are known! Here some originals - look - compare - learn! Correct and clear marking is a must! Thank you all who helped me identifying and thank you for your lessons , helped me alot. 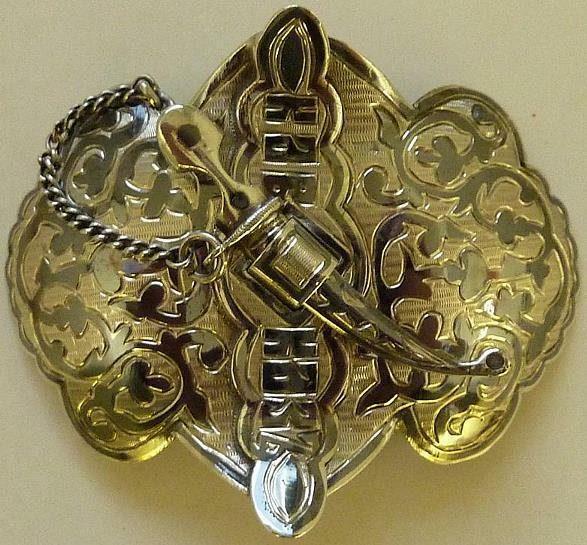 Enamel belt buckle look like original. Please. Show separated area. There are hallmarks. 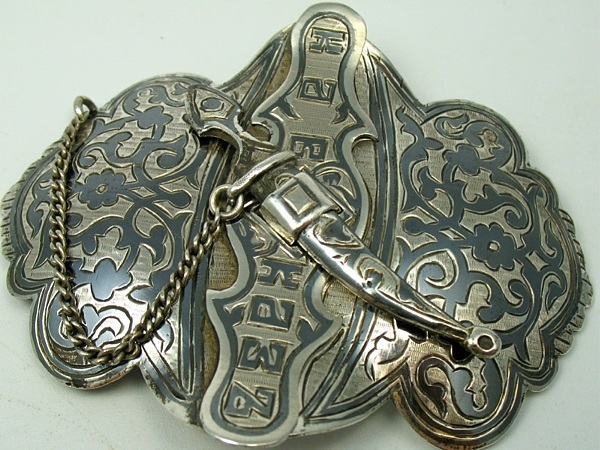 Dad wrote: Enamel belt buckle look like original. "look like original" is not the same as "is original"!